Once upon a time, Sam's room looked like this. And while it wasn't that long ago, it seems like an eternity since the walls of his nursery were bare, the room waiting for it's new tiny occupant. And now it's not even a nursery any more. We had been wondering for a while when Sam was going to escape the crib and make a run for it. We worried about the right time to transition him to a big bed. But we didn't have to worry for long. Sam decided for us. Over Thanksgiving, Sam chose the big bed over the crib at Pops and Nana's house and there was no turning back. We took down the crib a few days after we got home. Some folks suggested converting the crib to a toddler bed. Others said to have both in the room for Sam to choose. I wanted to just move the crib in the spare bedroom for a while, just in case. But when it wouldn't fit through the door, down it came and up it went into the attic. And now we have a big boy room. Oh my goodness, I love the big boy room! 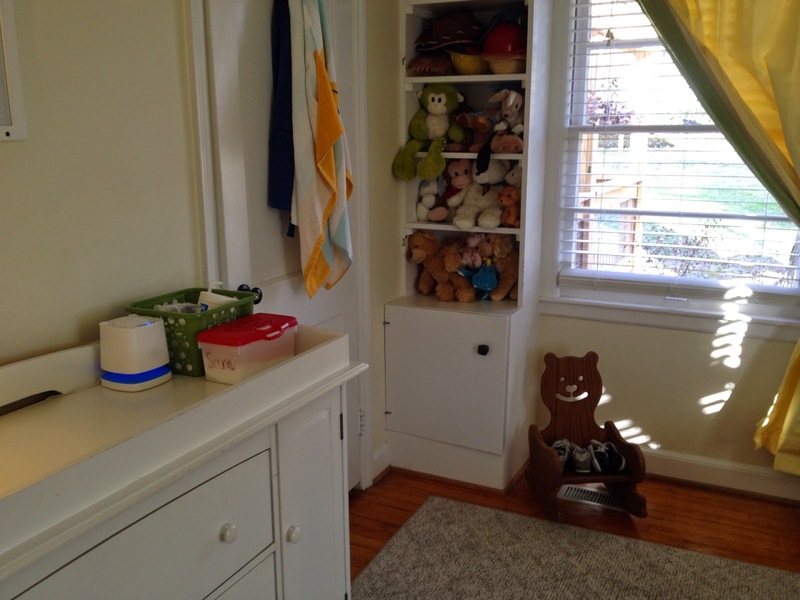 We made a few changes in here - got rid of an unsafe book case, took out the changing pad and updated the book rails (that can't hold books or Sam would never want to go to sleep), We didn't have to do too much baby proofing, because, honestly, there isn't much in here. 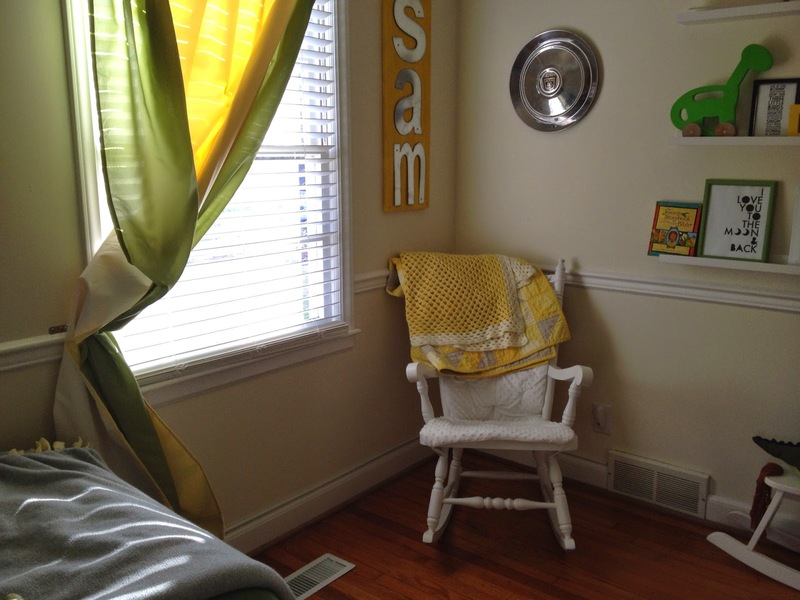 And I added another color into Sam's yellow room. I am very particularly when it comes to the colors of things, so a green bedspread meant the room needed other splashes of green. 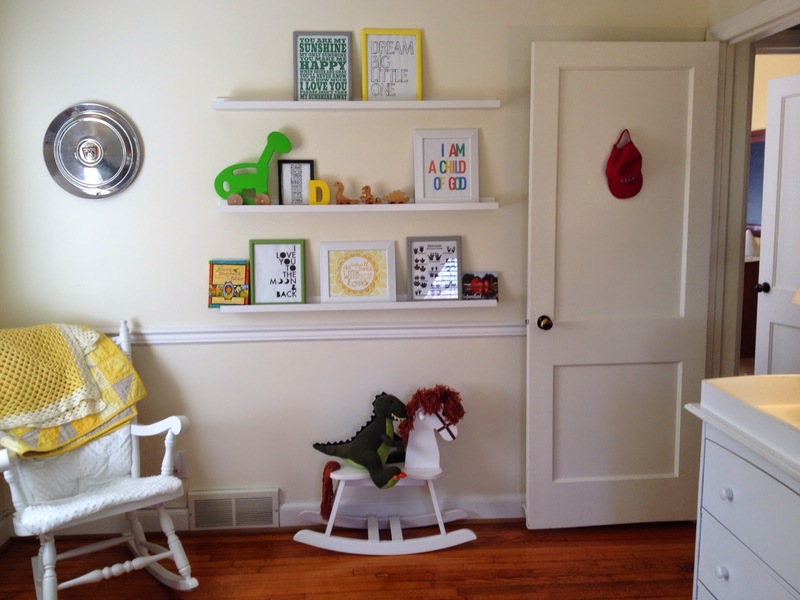 Frames and prints on the shelves, a few green baskets, and the curtains. I bought a set of green panels and literally cut them in half and put them on either side of the yellow blackout curtain, making sure to hide the cut edge because you better believe I did not hem anything. Does it make me a bad mom because I am not really sad that Sam is growing up? I love that he's growing and learning and talking. I love that he climbs into his bed with his animal friends, or helps as I change his clothes. 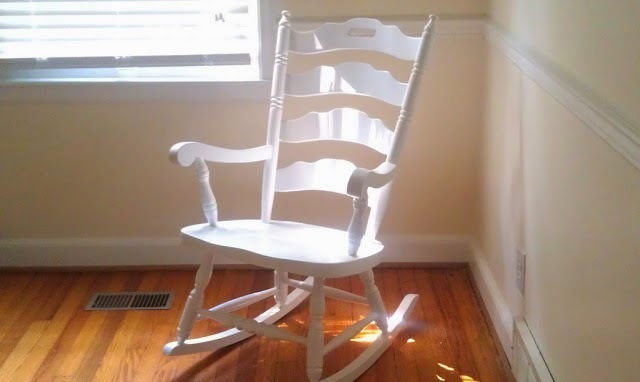 But I do still love that he wants to rock with his mommy in that chair. What a sweet room, Laura! I can't believe your Sam is old enough for a big boy bed already! Aw, this is so sweet. 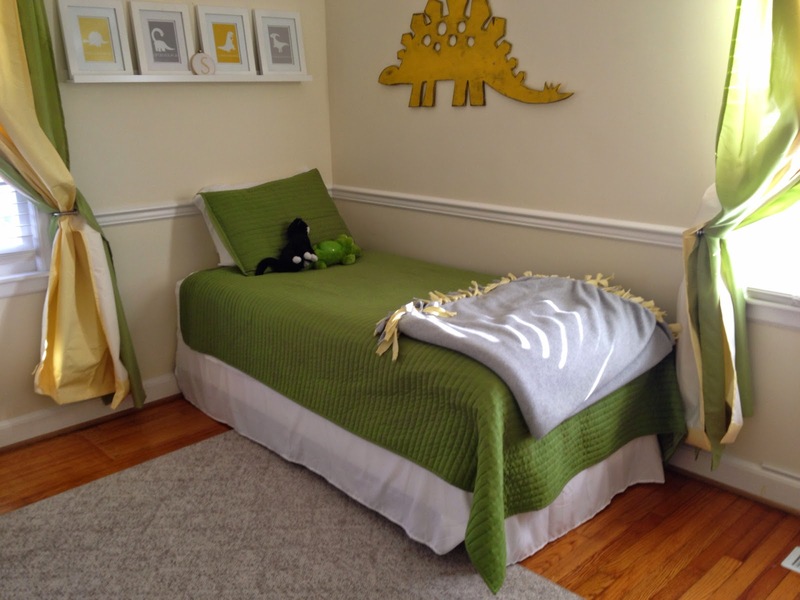 I love the dino above the bed. Such a great big boy room. Love the photography in this post...thanks for sharing! I really love the color combinations in the room, its bright and colorful without being overwhelming. Nice job!